Hello, and welcome to the spring 2018 edition of the Integrity Housing newsletter. We are thrilled to share numerous exciting updates with you! In the last few months, we have forged new partnerships, opened new communities, and welcomed new team members. It has been a season of high-impact investing, creating not only homes but communities which thrive and offer opportunities. Below, please enjoy a bit of this exciting news in our latest newsletter. 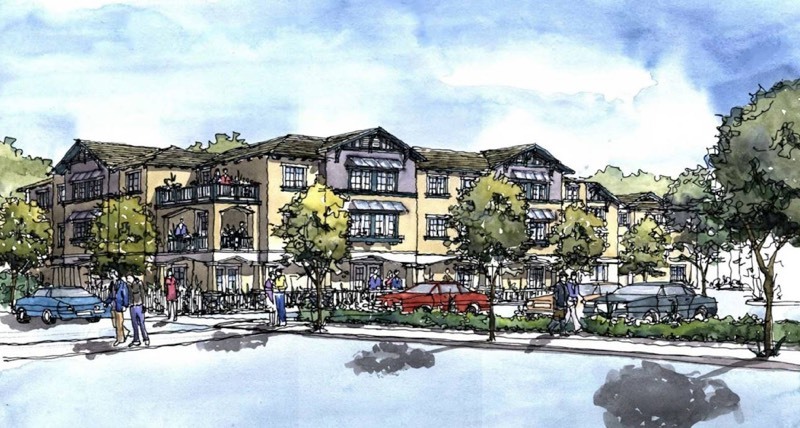 Integrity Housing, along with its developer partner, Newport Beach-based Pacific American Development, was recently awarded a Request for Proposal (“RFP”) to design, develop, and operate a 96-unit multi-family rental community, The Commons, in the City of Riverside. The project site is located within the Raincross District of downtown, which is the cultural, historic, and social center of Riverside. Included in the development is the restoration of a historic Texaco Gas Station designed by Walter D. Teague, “Dean of Industrial Design.” The gas station will be turned into a café with outdoor dining. Pacific American Development’s award-winning expertise with historic restoration of commercial buildings will ensure that the integrity of the original structure is not compromised. The Commons will feature a variety of amenities to include a fitness room, community room, tot lot, pool, jacuzzi, bike kitchen, and outdoor movie theater. Many neighborhood amenities and venues in downtown Riverside will be within walking distance. Groundbreaking is slated for the spring of 2019. 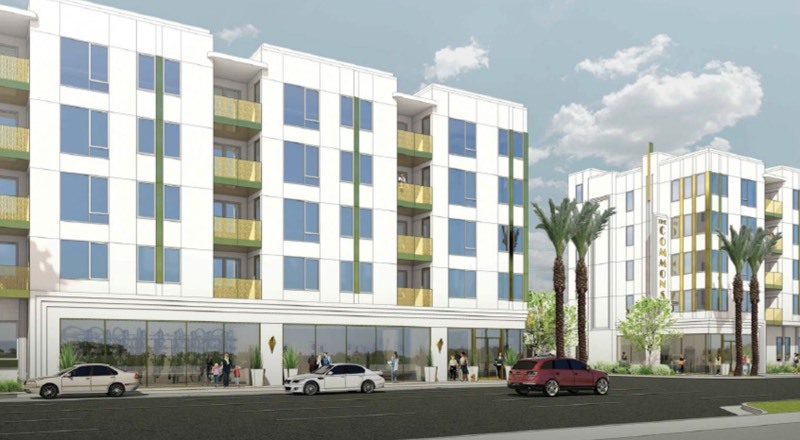 Upland Community Housing, Inc. (“UCHI”), a community-based nonprofit, selected Integrity Housing to develop the second phase of an affordable senior rental housing development in the City of Upland. Originally slated to begin construction in 2014, the project was stalled due to fluctuations in the low-income housing tax credit market and increases in construction costs. Additional attempts to revitalize the project were unsuccessful which lead to Integrity Housing being referred to UCHI as a possible partner to help get the development back on course. Anjela Ponce, Executive Vice President and Founder of Integrity Housing, states, “We are extremely honored to be entrusted with developing the much-anticipated senior community and working with UCHI through the process.” Integrity Housing’s development team, along with KTGY Architecture and Planning and Primus Building Solutions, Inc., have used creative design and construction strategies to move the project forward. The 86-unit building will serve residents at or below 60 percent Area Median Income (AMI). Operating costs will be shared with the adjacent first phase, Coy D. Estes Senior Housing, creating an economy of scale in ongoing operations and resident services. The property is close to several neighborhood amenities, one of which is the Gibson Senior Center, where future residents will be able to participate in the many activities and programs the Center has to offer. Groundbreaking is slated for December of this year. Integrity Housing, along with other project partners, celebrated the grand opening of The Orchard in Santa Ana, CA on February 1, 2018. The ribbon-cutting ceremony was held at the property, located at 2151 East 1st Street. 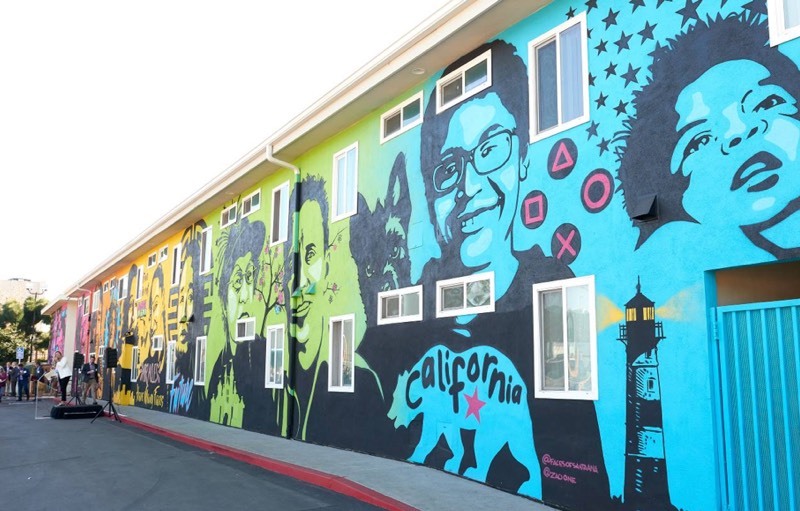 The $18 million project transformed a blighted motel into a 72-unit Permanent Supportive Housing development exclusively for individuals and small families experiencing chronic homelessness. The Orchard is Santa Ana’s largest Permanent Supportive Housing project to date. The Orchard features 72 units (including one manager’s unit), consisting of 58 studio and 14 one-bedroom homes. Upgrades include new unit interiors, on-site resident services and property management offices, an outdoor courtyard, a laundry room, a large community garden, edible landscaping and space for sustainability education, along with a 1,200 square-foot commercial kitchen and dining room which provides free daily meals to residents. The Permanent Supportive Housing (PSH) project utilizes the Housing First model for people experiencing chronic homelessness, and combines housing and supportive services. Under the Housing First approach, individuals experiencing homelessness are assisted in finding and maintaining housing quickly. Stable housing is seen as the foundation to pursue health and independence goals. Housing First and PSH have been successfully used nationally as complementary tools for ending chronic homelessness. The Orchard brings together a diverse set of entities, including: The City of Santa Ana, which is providing rental assistance and capital for the rehab; Community Development Partners, the developer; Integrity Housing, the non-profit development partner; Mercy House, offering wrap-around supportive services for residents with onsite case management staff as well as Continuum of Care (CoC) funding for services; The Ecology Center, who helped design the on-site garden and provides ongoing sustainability programming; Official No One Left Behind, operating the commercial kitchen; Veterans Yoga Project, offering weekly on-site classes; and Faces of Santa Ana, responsible for painting the mural and offering arts programming. 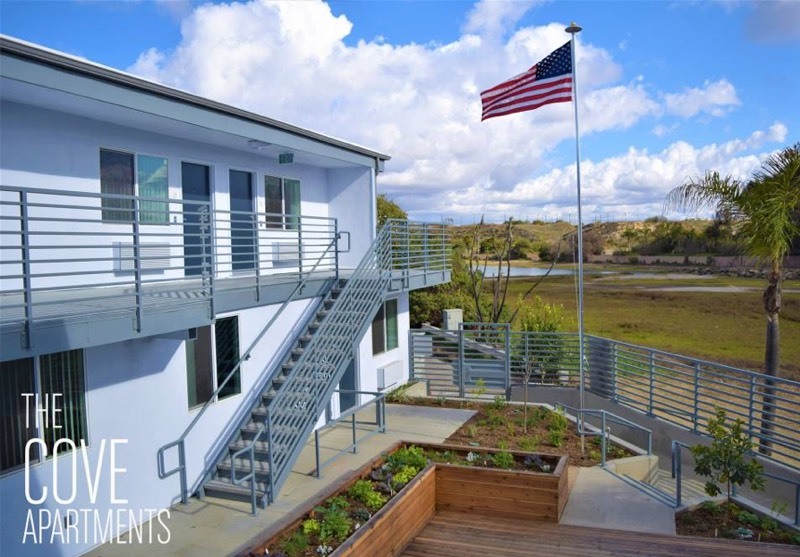 Integrity Housing is pleased to announce the grand opening of The Cove Apartments in Newport Beach, CA. A ceremony to celebrate the milestone took place Thursday, March 15, 2018 at 6001 Coast Boulevard. The $6.6 million project provides permanent affordable and supportive housing for homeless veterans and low-income seniors ages 62 and over earning 30-60 percent of the area median income (AMI). Located just steps from Coast Highway and public beaches, The Cove Apartments features 12 one-bed units. The property was formerly a rundown market-rate apartment complex, before receiving extensive upgrades and transforming into affordable rental housing. The Green Point Rated property now features a refreshed exterior, new unit interiors, a laundry room, and a courtyard with a community garden. Supportive services are provided by Mercy House in conjunction with the VA. The non-profit partner is Mercy House with Integrity Housing acting as the co-GP. The project was designed by Rand Kruse, built by Precision General Contractors, and is being managed by Solari Enterprises. Financing was provided from the sale of 4% Low Income Housing Tax Credits (LIHTC) Tax Exempt Bond financing from bonds issued by CSCDA with construction debt provided by Citi Community Capital. Additional permanent debt was provided by City of Newport Beach Housing Funds, California Housing Finance Agency (CalHFA), and grants from the Affordable Housing Program (AHP), CITI Salute program, and The Home Depot Foundation. In February, Integrity Housing and Tablerock Capital finalized the purchase of Manchester Apartments in San Leandro, CA. The 44-unit property, located at 1919 Manchester Road, features 18 affordable homes reserved for low income individuals and families earning up to 60 percent of the area median income (AMI), and 26 market-rate homes. The property joins Integrity’s portfolio of investment properties which are both environmentally-friendly and affordable. Manchester Apartments has 16 one-bedroom, 27 two-bedroom, and one three-bedroom units. The community features laundry facilities, a central leasing office, and a resident courtyard. Units include ceiling fans, a balcony or patio, walk-in closets, fully-equipped kitchens, and exposed beams. The transit-oriented development is located one mile from a Bay Area Rapid Transit (BART) station, and nine bus lines serve the neighborhood. It is also close to numerous interstates and popular shopping and entertainment districts. Tablerock Capital sought out Integrity Housing as a non-profit partner to purchase Manchester Apartments. Manchester Apartments is Tablerock’s first purchase in California, as they own and manage affordable properties solely in Nevada. Integrity and Tablerock purchased the property at a below-market price, due to an expedited timeline and the non-performance of a previous buyer. 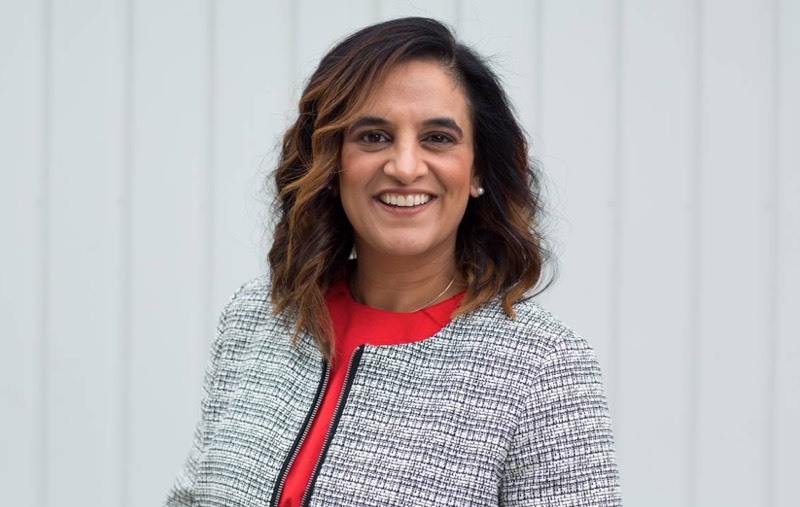 Integrity Housing is pleased to announce that Ruby Dhillon, JD, has joined its staff as its new Vice President of Development. In her new role, Ms. Dhillon spearheads the company’s efforts in evaluating development opportunities, sourcing new deals, and she will assist with the financing side of closings. Ms. Dhillon earned her BS in Political Science from University of Southern California, and her JD from American College of Law. Immediately prior to joining Integrity, she served as the Vice President of Southwest Development at Newport Partners, LLC, an entity focused on constructing Low Income Housing Tax Credit properties throughout the Southwestern US. 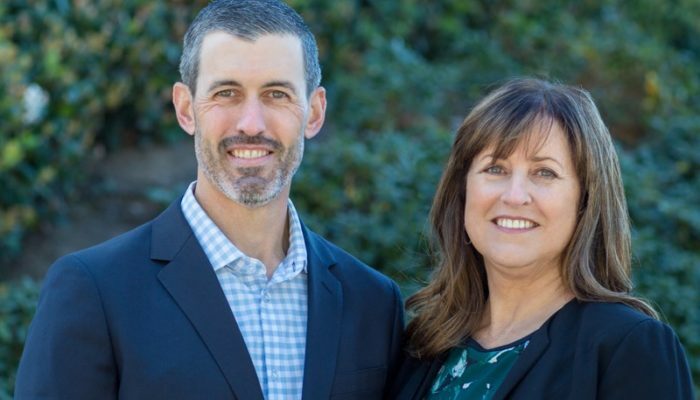 She has also served as the VP of Originations at Alliant Capital, an equity firm, and the Rental Programs Administrator for the Arizona Department of Housing. Ruby’s infectious laugh and great energy has already been a welcome addition to Integrity’s office environment. Welcome, Ruby! Thank you for being a part of our development family. From the entire Integrity Housing team, happy spring!